Daryl Johnson (Worcester Park, United Kingdom) on 2 April 2012 in Architecture. 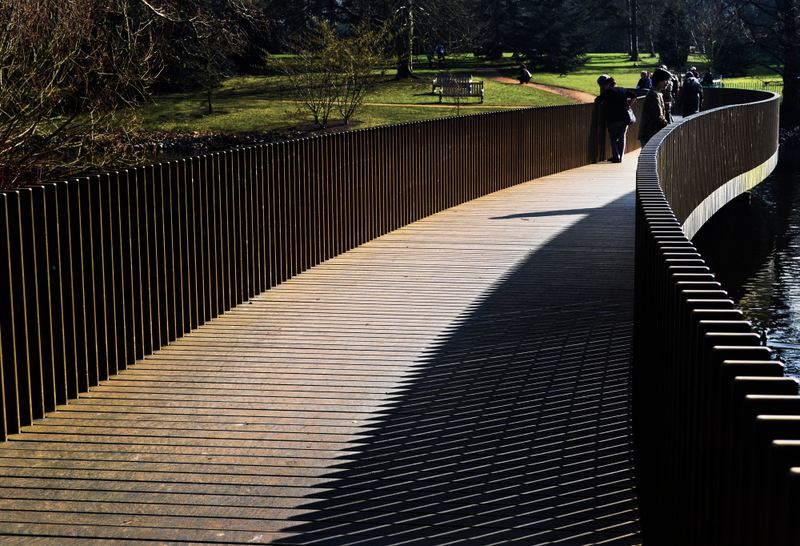 The Sackler Crossing, Kew Gardens. Fantastique graphsime et jeu de lumière quelle paserelle sueprbe. Love the curves and the shadows. Beautiful use of the curving movement and the shadows!